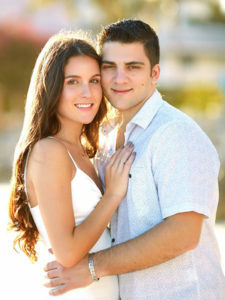 Shrewsbury – Mr. and Mrs. Christopher Tsiros of Shrewsbury are pleased to announce the engagement of their daughter Alyssa Tsiros, to Johny Antonopoulos, son of Apostolos and Elaine Antonopoulos of Cambridge. Alyssa earned her master of science degree in bioinformatics and computational biology from Worcester Polytechnic Institute and is currently a senior research analyst at Foundation Medicine in Cambridge. Johny earned his master of science degree in civil engineering from Worcester Polytechnic Institute and is currently a project engineer at Skanska USA Civil in Boston. The couple recently purchased and reside in their first home in Medford. An October wedding on Cape Cod is planned followed by a honeymoon to the Greek Islands.